A meeting by the TSL management yesterday discussed the issues and resolved for a new deadline to be announced for the teams to submit their registration lists for the competition. Saturday 15 October will no longer be the kickoff date but will be the final date for teams to hand in their registration lists. The kickoff, therefore, is moved to October 22. Meanwhile the TSL management team is calling all the clubs to attend a special meeting on Wednesday to discuss the status and transfer of players. The meeting will be held at the Solomon Islands Football Federation (SIFF) academy conference room. All club managers are required to attend the meeting and bring with them their registration lists so that they can be cross checked with other clubs to remove any dual registered players. The TSL management is appealing to all clubs to ensure that they finalise their list by the end of the week. This is to ensure that the competition kicks off on October 22. 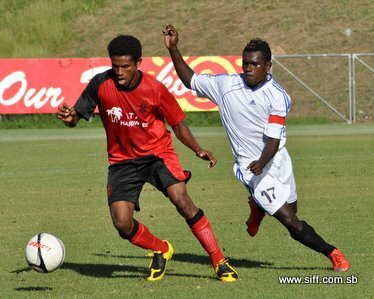 SIFF competitions manager and coordinator of the TSL, Ian Rarawa, says that it is imperative for clubs to complete their registrations because without players they cannot play. “Clubs must take this final notice seriously. SIFF will not be giving any further extensions as we have already lost time,” Rarawa says. Rarawa explains that it takes up to a week to register and set up the TSL within the software that will manage all aspects of the competition. Thus, the delay is necessary to allow competition staff to register all players in the management system. “The registration process does not only involve SIFF receiving all the lists. We have to check players against international transfers and against records of other clubs to make sure everyone is cleared. Such work takes time so the earlier we receive the information from the clubs the better,” Rarawa says. The original deadline for submission of registration lists was Monday 3rd October. The minimum fee of SBD$16 000 was also due on the same day. However, only 2 clubs have paid the registration fee and only 1 has submitted their registration list since the deadline lapsed.